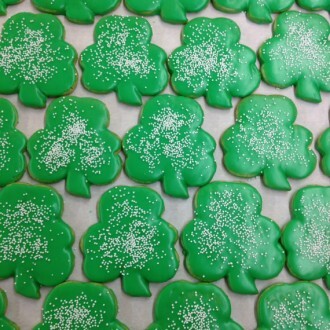 Nothing makes our Irish eyes smile like seeing a bounty of gluten-free products for St. Patrick’s Day. You won’t find green beer here, but you will find a gluten-free ale you can brew yourself as well as our seasonal picks for gluten-free treats, libations and kitchen equipment. It may be too late to order these goodies for today’s festivities, but just looking at these lucky gluten-free finds has us already planning next year’s festivities. Sláinte! 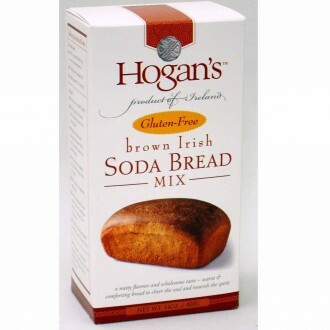 What goes better with corned beef and cabbage than Irish soda bread? Tear off a hunk to sop up the extra broth in your bowl or spread a thick slice with salted Irish butter for breakfast. 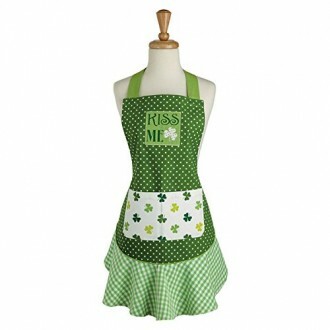 Keep your green apparel spot-free with this pretty ruffled apron. It’ll ensure your St. Patrick’s Day is rife with kisses, not pinches. Don’t let those pitchers of green beer get you down. 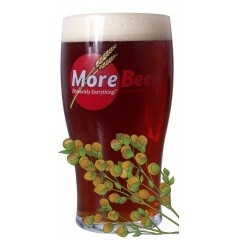 Instead, brew your own with this homebrew kit from More Beer. Made with naturally gluten-free ingredients, this kit will produce a much better brew than what you’d find in those questionable green-tinted pitchers. 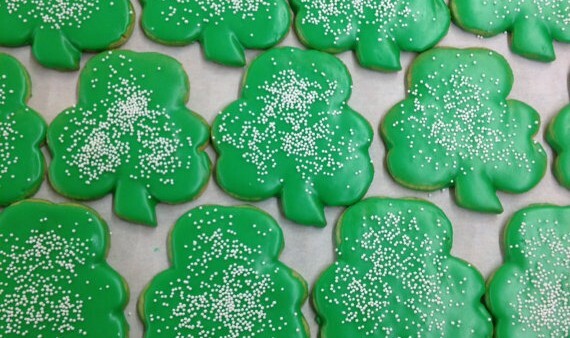 Send your little leprechauns off to school with a gluten-free shamrock cookie in their lunchbox. We’d take a box of these dairy-free and soy-free cookies from Ellie’s Gluten-Free Bakery over a pot of gold any day. While oversized leprechaun hats and shamrock-shaped sunglasses have their place, our elegant Irish dinner spread requires more sophisticated decor. 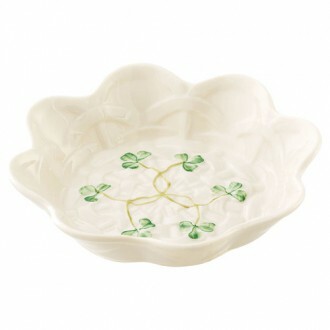 We think this sweet dish from Belleek fits the bill nicely. No St. Patrick’s Day is complete without a taste of Irish cheddar. 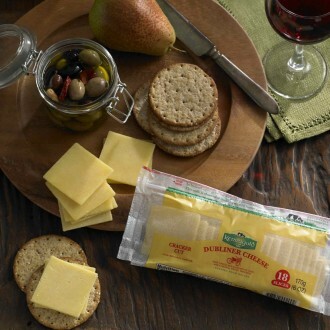 This year, we’re putting out a plate of Kerrygold Dubliner cheese in their new snack-friendly, cracker-size slices. 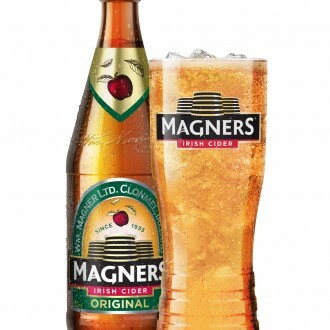 Guinness may still be off the table for those on the gluten-free diet, but Magners Irish Cider isn’t: This pub favorite is 100% naturally gluten free. 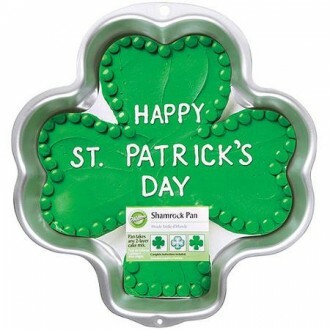 Don’t fill up on corned beef and cabbage without saving room for dessert: A cake baked in this shamrock-shaped novelty pan from Wilton is sure to be a crowd-pleaser. 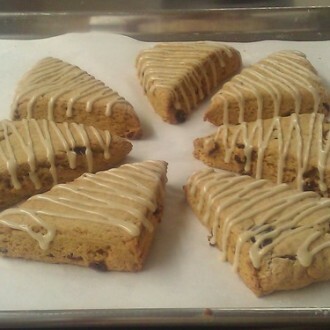 Wildflour Gluten-Free Baking Co.’s Irish Coffee scones sound delicious, with their coffee, cream and bits of dark chocolate, but it’s the Irish Whiskey glaze on top that’s really got our attention. We’re all for festive baked goods, but green cake batter appeals to no one. 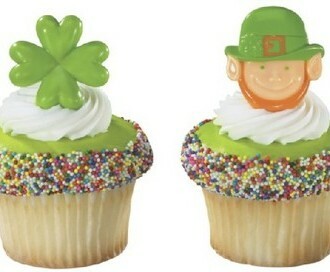 Instead, Irish-ify your cupcakes with green frosting and fun cupcake toppers and liners from ShopBakersNook.com. 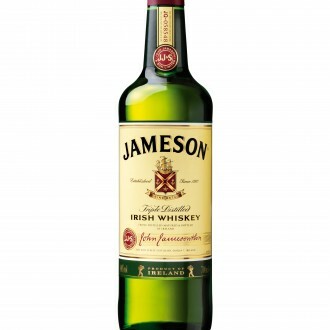 Luckily for those on the gluten-free diet, the classic Jameson’s Irish Whiskey is gluten free. Put some in your gluten-free cakes, use it to spike your coffee or enjoy it straight: It is St. Patrick’s Day, after all.